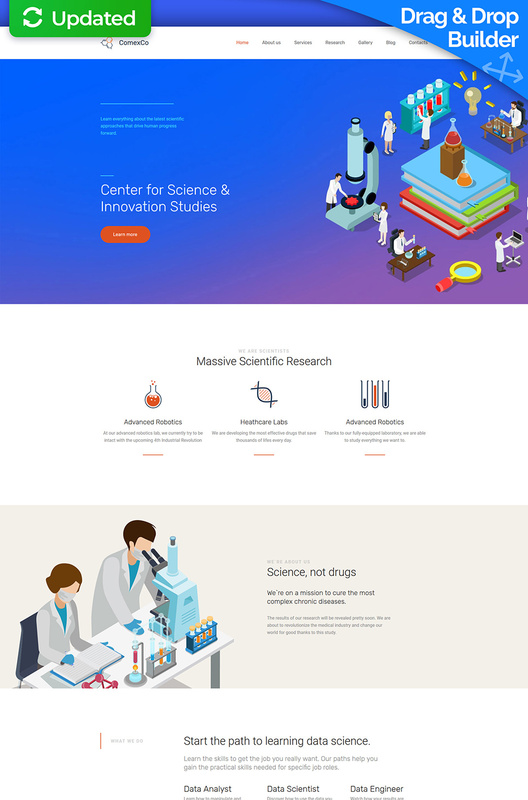 If common solutions are not for you, check out this Science Lab Moto CMS 3 Template. Some sections of this theme contain custom illustrations, which is rather unusual for today’s web. The users will undoubtedly note the difference of your company, which is beneficial for you as they will remember your website. Color gradient on the header image will boost their first positive impression. Don't miss you chance to show everybody that websites for science labs can be not only informative, but fun and aesthetically appealing. As to the rest of the layout, the texts there are written over the fair backgrounds, which makes them clearly legible. Nice icons make the content even more understandable. The web page contains explanatory videos and illustrated latest news from the world of science. This theme is ideal for your science lab, don't you think so?